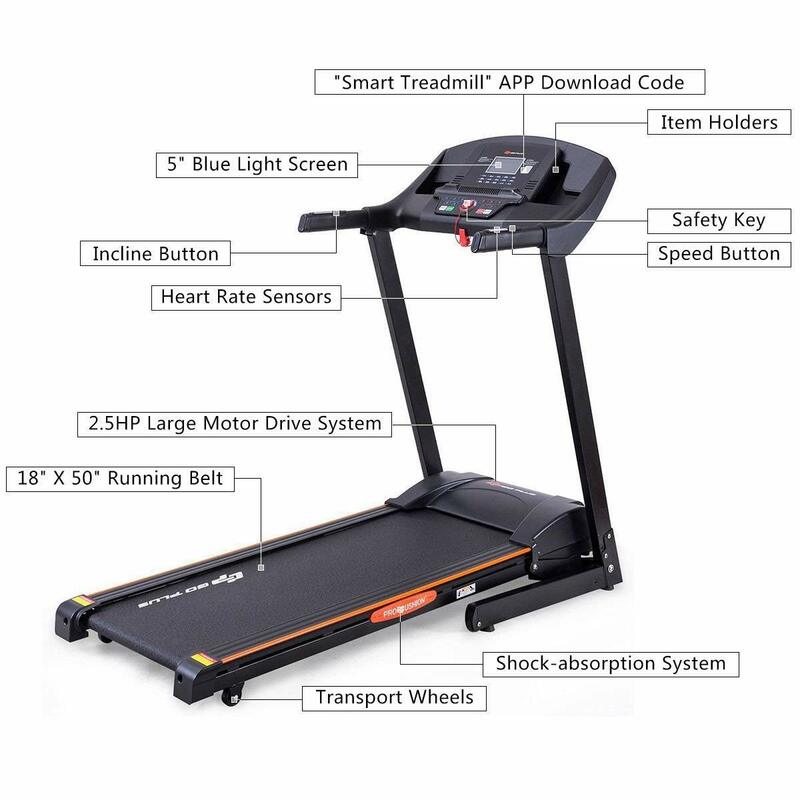 The treadmill is Features with 5″ blue light LCD display, this treadmill provides great watching experience. it is convenient to read your exercise condition. The treadmill is Features with electric ascension function, the inclination can be adjusted from 0-15% for different workout intensity. It has 3 quick adjustment of 3%/6%/9%. The speed can be adjusted from 0.5-10MPH. It has 3 quick speed adjustment of 2/4/8MPH. You can choose different speed and inclination for different training intensity. Scan the two- dimension(QR) code at control panel, download the software named “Smart Treadmill”, open the bluetooth in your mobile and connect with the machine. Open “Treadmill”, then your mobile can control treadmill.